Anna Fitzgerald knows that she was created in order to donate her cord blood to her sister with a rare form of leukemia. However, as years have progressed, the donations from Anna have become more and more invasive. Now at 13, the next procedure on the list is a kidney donation, and she decides to sue her parents for medical emancipation. The doctors have said that her sister, Kate, probably wont survive the transplant, and there are risks to Anna as well, and if Kate did survive, this pattern would just continue. Kate and Anna have an older brother who has adjusted even worse to Kate’s chronic illness. From lack of attention and a guilt over his inability to help Kate, Jesse has turned into a rebellious, criminal teen. The kids’ dad, Brian, is a comforting and understanding player in their lives, but is still pushing to do anything to save Kate. Finally there is Sara, the children’s mother, who loves all her children but is furious with Anna for condemning her older daughter to death and splitting the family. Sara becomes the opposing lawyer for the case, and Anna turns to Cambell Alexander, a completely narcissistic lawyer who sees Anna as a way to get some media attention. Anna also receives a guardian appointed by the court, Julia, who’s role is to look out for Anna, since she happens to live with opposing counsel. 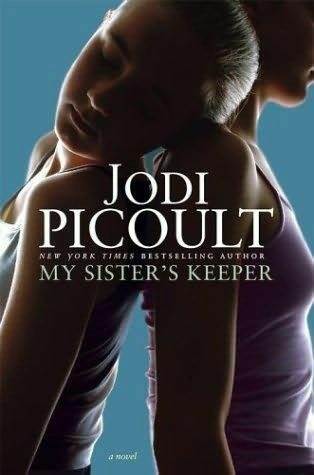 I found My Sister’s Keeper by Jodi Picoult very moving and powerful. I love a good medical ethics conundrum. Each chapter is told by a different narrator, so you can see how this incredibly messy and emotional situation arose. My favorite character was Julia, she seemed so level headed and kind, and the dynamic that arose between her and Cambell was very entertaining. My least favorite chapters were told by Sara. Picoult attempts to make her sympathetic and show that she really does love Anna, but I never found it convincing. The anger she exhibited towards Anna, when Anna’s whole life she’d given all that was needed from her, never seemed justified. And while I don’t have experience with this type of illness in a family member, I couldn’t believe how she could just neglect everyone but Kate. 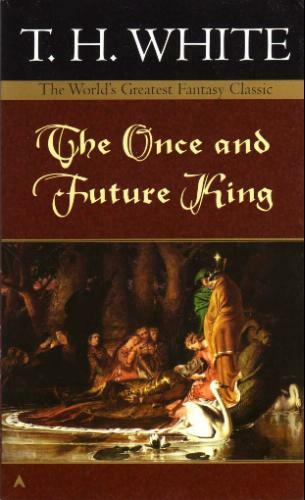 My only other problem with this novel was the ending, it was such a punch in the gut! I can’t give anything away here, but I felt a little peeved when this twist came along. My Sister’s Keeper confronts an issue that I think will be huge in the near future – genetic planning. I have heard of families conceiving another child in the hopes that they would be a donor match for an already existing child; but this goes beyond – to the point of picking out specifically the genes and the proteins that will make a perfect match. It will be possible I’m sure, and it will be a major ethics battle. Where do you draw the line when trying to save someone you love? This entry was posted in Book Reviews, General Fiction and tagged Best Sellers, Fiction, Jodi Picoult, Medical Ethics, My Sister's Keeper, Plain Truth. Bookmark the permalink.